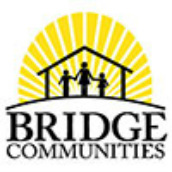 Bridge Communities is a dynamic, grassroots, non-profit organization committed to transforming the lives of homeless families in DuPage County through partnering with talented, resourceful individuals and groups in our community. Our program of housing, mentoring and empowering families focuses on moving them towards a goal of self-sufficiency. 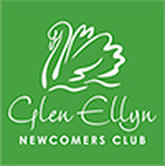 HealthTrack Sports Wellness is located in Glen Ellyn. We have a full array of state of the art exercise equipment including resistance training, cardio, free weight and strength machines. Over 100 group fitness classes offered per week including spin, zumba, pilates and yoga. We offer personal training and nutrition programs. With 4 indoor hard tennis courts, we offer tennis leagues and tennis lessons for all ages and levels. In addition, we have 2 pools, one 25 yard lap pool and one warm water therapy pool. We also offer swim lessons and aquatic classes. Other amenities include a full service Day Spa, Childcare, Steam room, Sauna, Towel service and friendly staff.